Delhivery offers Omni channel fulfillment services that help your business overcome e commerce logistics challenges. The best aspect of the service is the customized service that suits the typical business needs of merchants and business owners from diverse e-commerce industry verticals. As a leading global provider of comprehensive logistics and transportation solutions, Aramex breadth of services includes express courier delivery, freight forwarding, logistics, supply chain management, e-commerce and record management services. FedEx is an American multinational courier delivery services company. The company is known for its overnight shipping service, but also for pioneering a system that could track packages and provide real-time updates on package location (to help in finding lost packages), a feature that has now been implemented by most other carrier services. HoliSol Logistics is a Supply Chain and Logistics Solutions Company. Holisol engage as your own extended logistics team to design, implement & manage solutions which work for you! We do this by understanding your business and supply chain objectives and our solutions help you to achieve these objectives. Bluedart is South Asia's premier courier, and integrated express package Distribution Company. We have the most extensive domestic network covering over 35,000 locations, and service more than 220 countries and territories worldwide through our group company DHL, the premier global brand name in express distribution services. DTDC has deployed a state-of-the-art technology backed by efficient operations infrastructure to provide enhanced services to all its customers. The high-end IT capabilities ensure end-to-end tracking of each consignment at all stages right from booking to delivery. 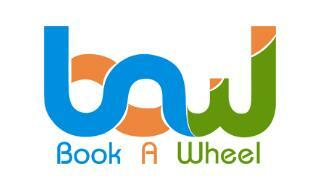 BAW provide end-to-end express supply chain solutions to thrill our customers. We take a holistic approach by tightly integrating people, processes and systems to offer reliable, efficient and flexible services. They are a technology driven express supply chain services provider that serves national and international customers in the B2B, B2C and C2C segments. Operating since 2008, Online Express command a respectable position especially in the United States of America and European sector for its excellent services.In today’s network economy, Online Express is a uniquely positioned to leverage the power of networks to help connect our customers to high-tech, high-speed global marketplace. Vegostics is a trusted and reliable name in International Integrated Distribution System. 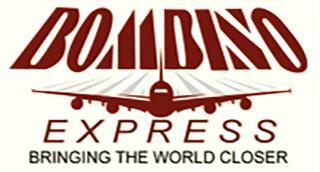 They are a leading provider of logistics and freight forwarding solutions across the length and breadth of the globe. Relationship with customers forms the core of their business model, which is well supported by domain knowledge and rich experience of our pioneers in this industry. They offer seamless solutions to our customers right from documentation, transportation, customs handling and even transit insurance.